Kimchi, the national food of South Korea, is spicy with a clean and crisp flavor. It is perfect eaten right out of the jar as a snack or as a topping to many common meals including sandwiches, eggs, meats, or rice. 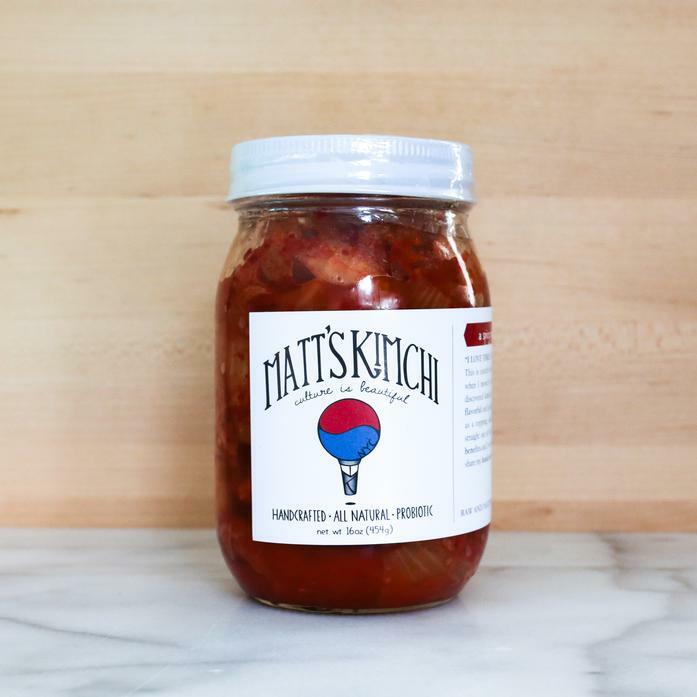 Matt's Kimchi is made with all-natural and mostly organic ingredients, and is 100% raw, lacto-fermented, all-natural, gluten-free, and vegan.